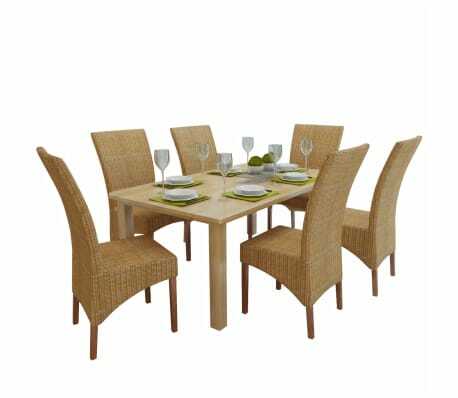 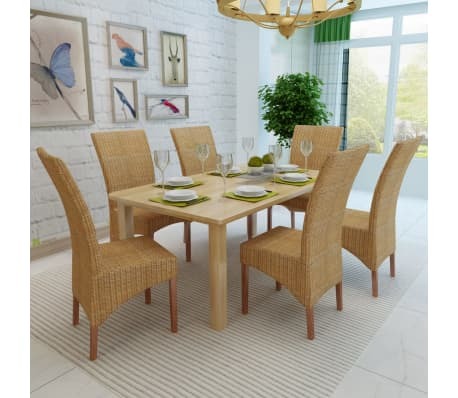 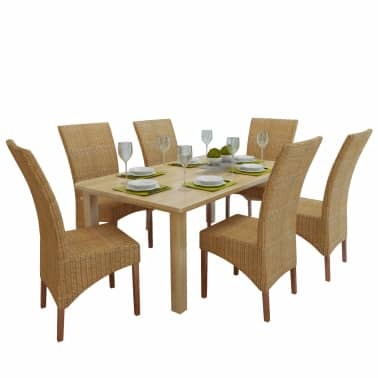 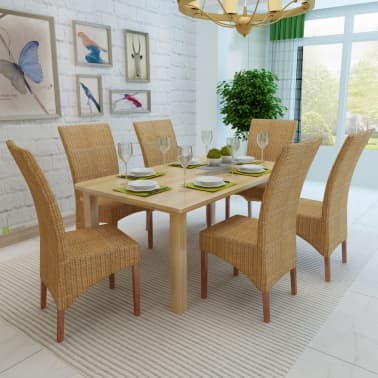 This genuine rattan dining chair set with its tropical look and feel will make a great addition to your decor. The hard wood frames and the genuine rattan make the chairs not only structurally solid, but also aesthetically pleasing. 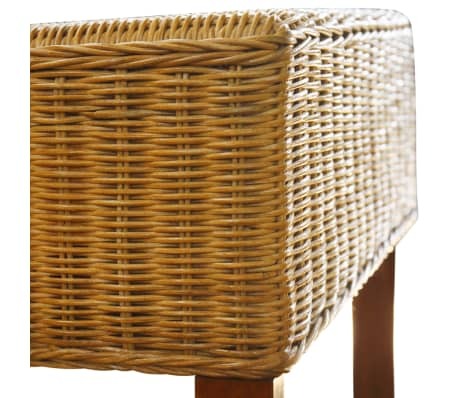 The genuine rattan covered seats are very comfortable. 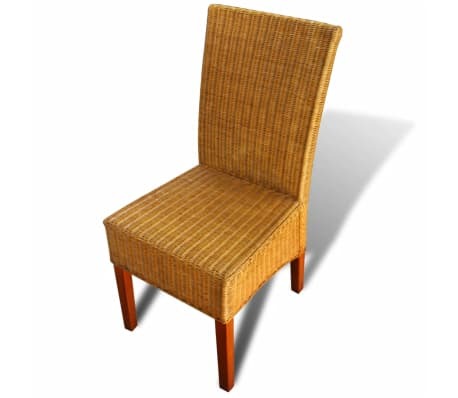 If you are looking for something to complement your kitchen or dining room decor, this attractive handwoven chair set will be a great choice. 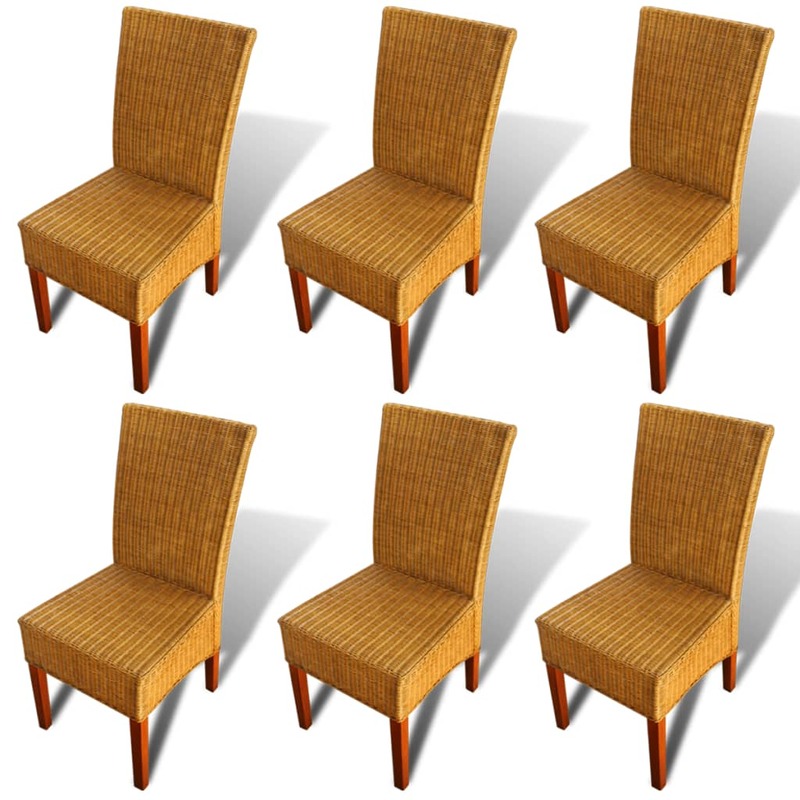 Delivery includes 6 chairs. 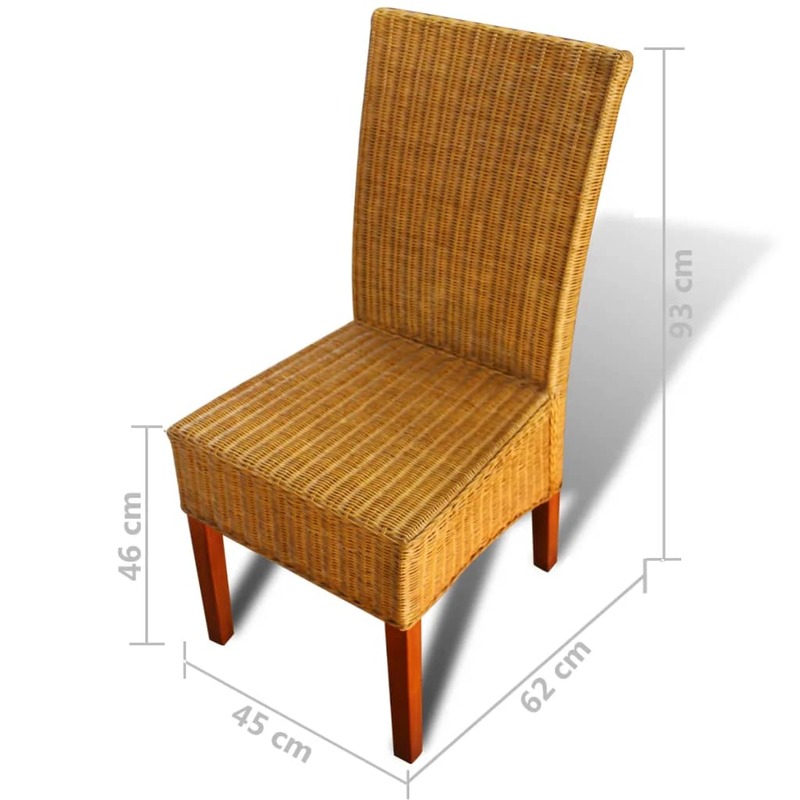 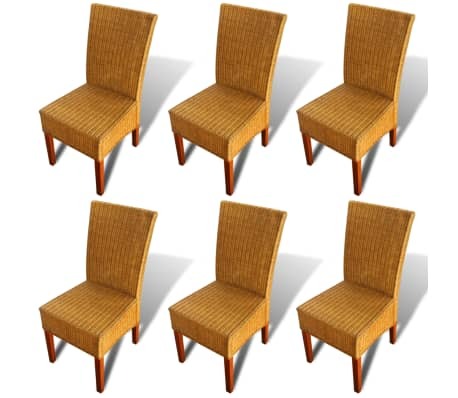 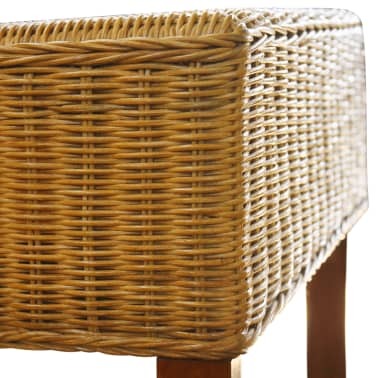 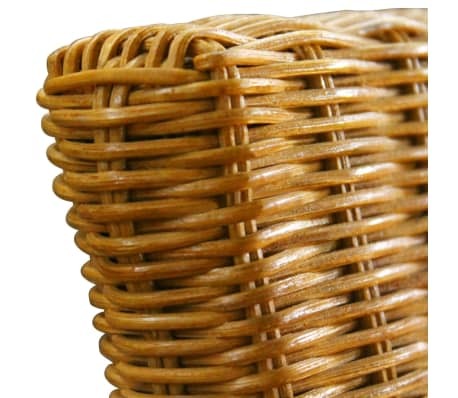 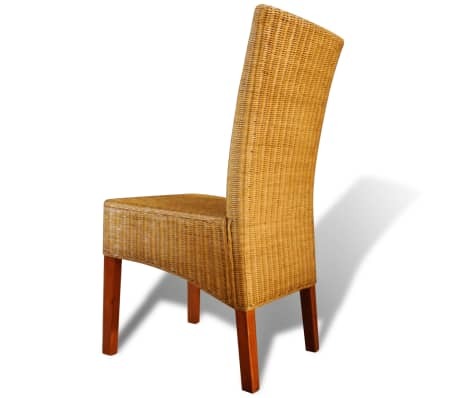 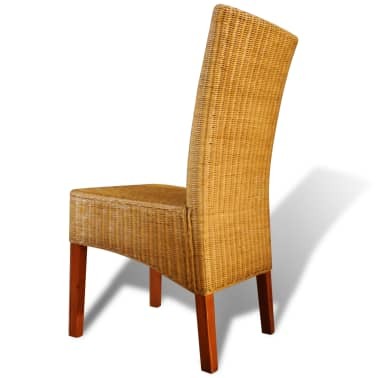 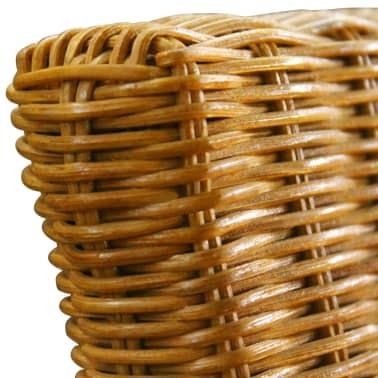 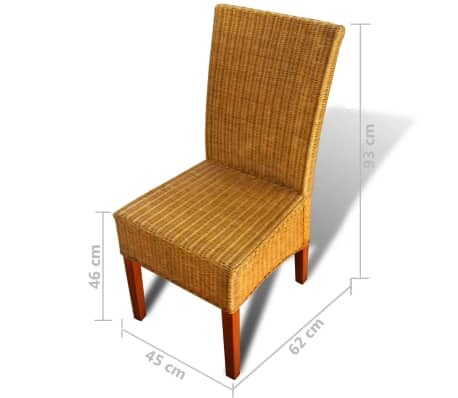 Please note: The chairs are handwoven with genuine rattan, therefore may have some color variations.